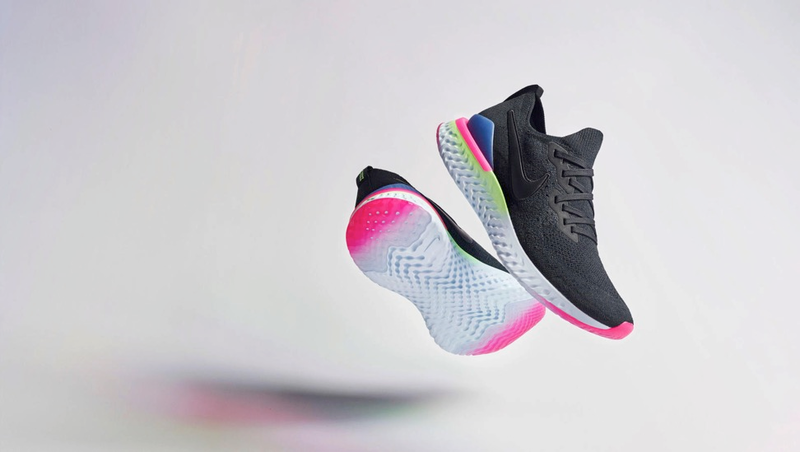 The first running shoes to feature the latest Nike React technology are coming in new Pixel and 8-bit colourways inspired by the technological 1990s. Light, breathable, and with special cushioning to absorb impact and return the energy spent, making them ideal for longer and harder runs. 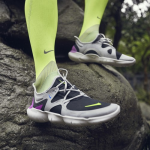 In comparison with the previous materials on the EVA base, Nike React foam is much softer and further improves shock absorption during runs on roads. To make use of its full potential, its midsole is thicker and wider to provide sufficient support. Also, it’s now longer, reaching over the circumference of the shoe around the heel, to provide runners with extra stability. Its upper design is very simple. Just like with the Nike Flyknit Racer shoe, it’s made of a single piece of Flyknit material which perfectly adapts to the foot while providing support, motion flexibility, and – last but not least – makes sure that your feet breathe easily. 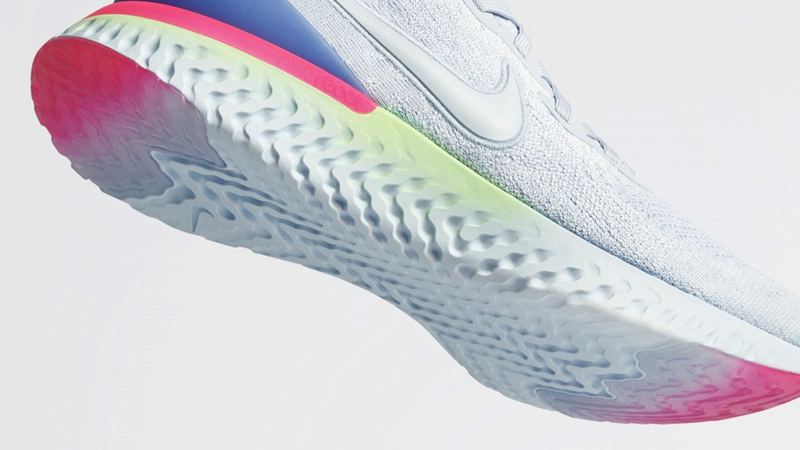 Nike React is formed by a single piece of foam without any glue. Thanks to a modern processing method, it midsole is constructed to provide more cushioning at specific spots that absorb the most shock. 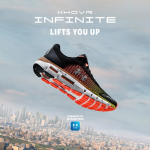 At the same time, the shoe is lightweight wherever less cushioning is required. You can see some deeper parts that show more cushioned areas as well as shallower parts that are stiffer. Given that the upper part of the shoe is placed on a single piece of foam, the outsole is basically the same as the midsole, with an added segment of stiff rubber on the heel and forefoot for better traction and durability. What makes Nike React foam so special? Four key parameters – it’s soft, responsive, light, and breathable. Its cushioning returns the energy spent. As soft as Nike Lunar, only 13% more sensitive. A revolutionary innovation resulting from over 400 test combinations. Tested by the best runners, who have run 17 thousand miles in it.